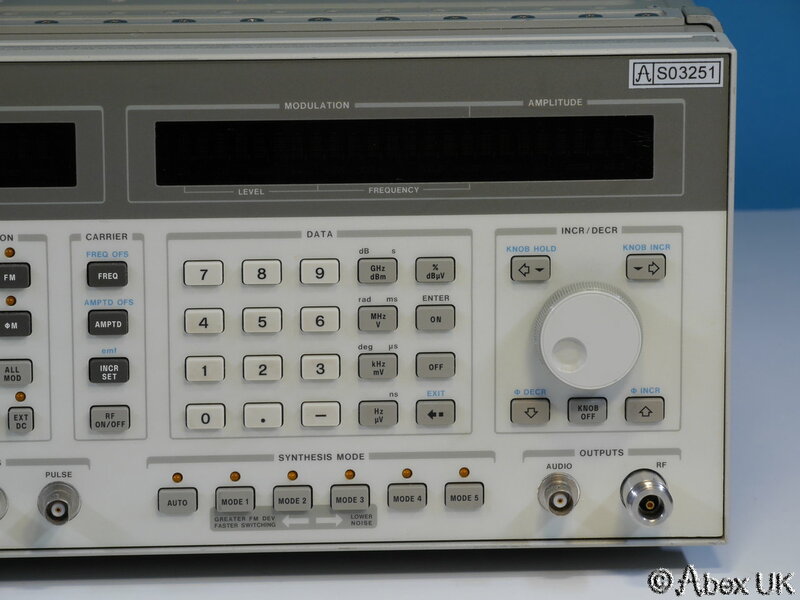 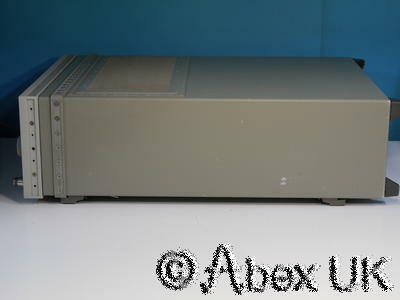 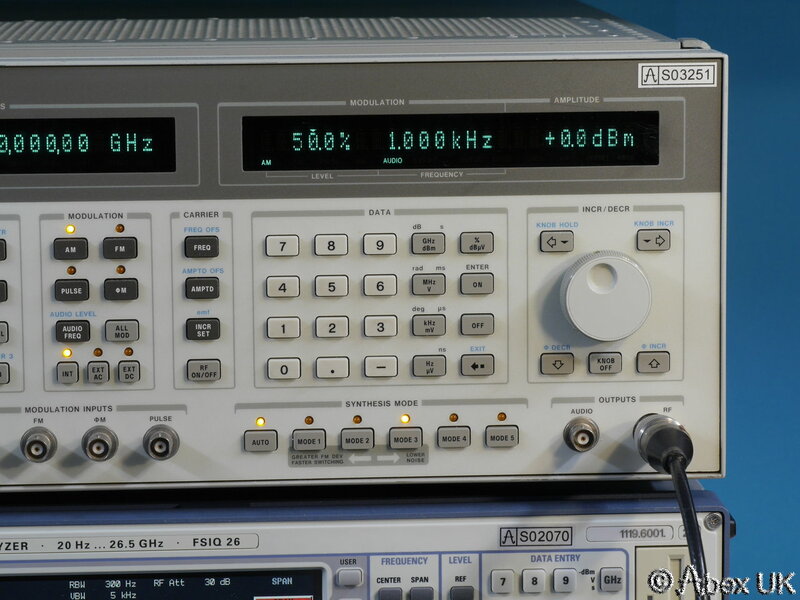 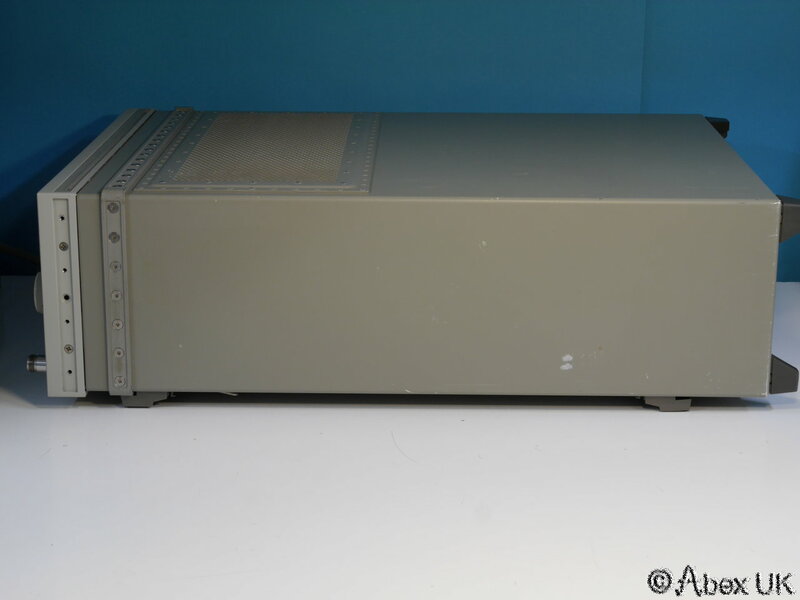 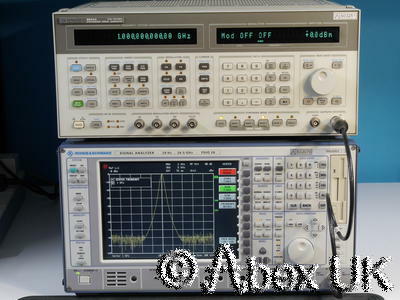 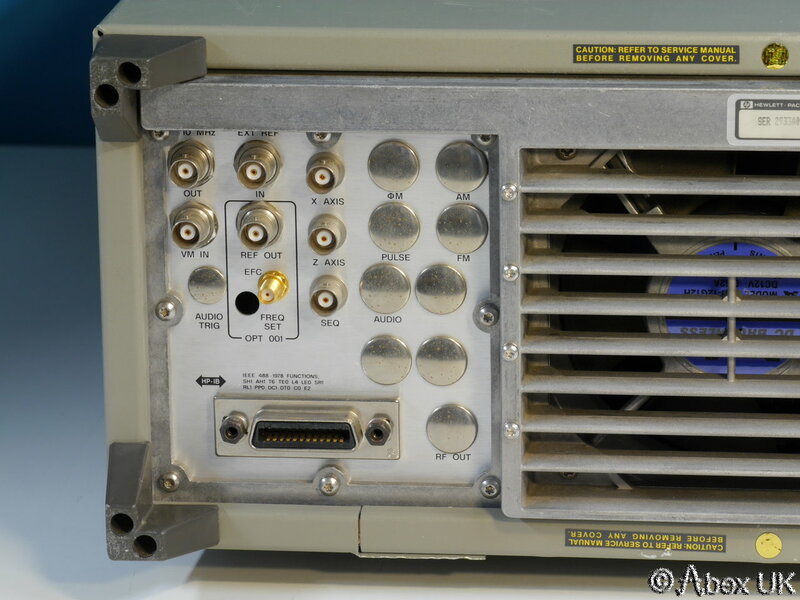 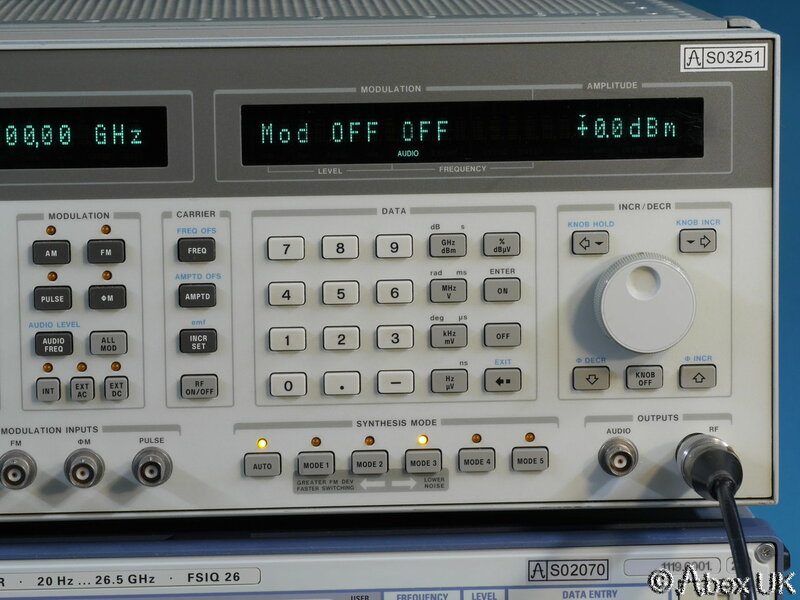 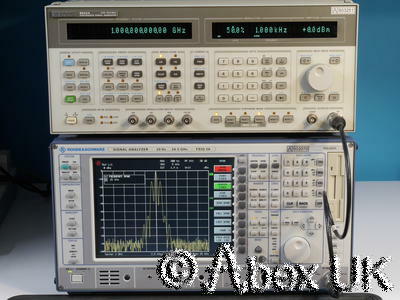 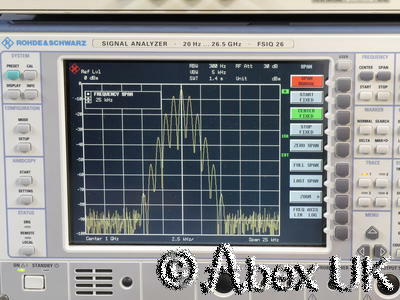 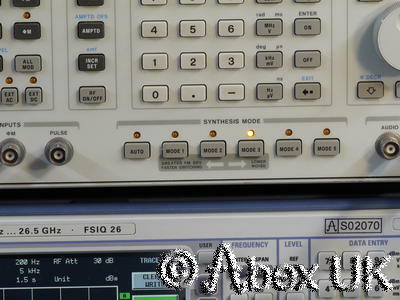 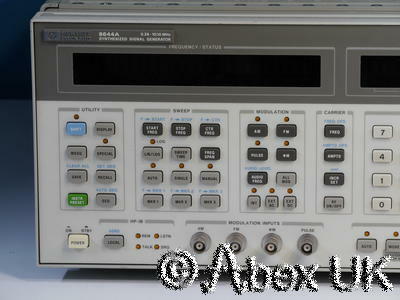 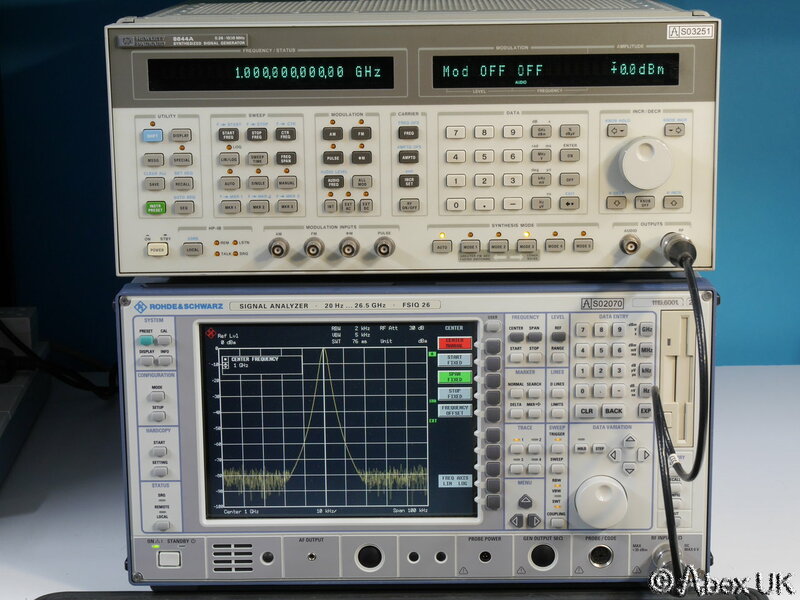 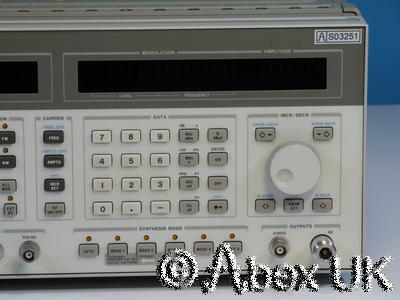 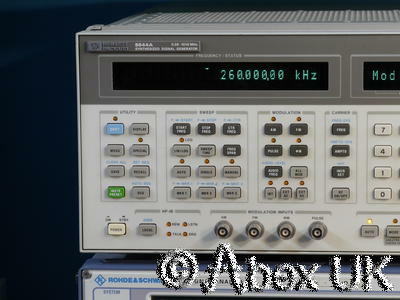 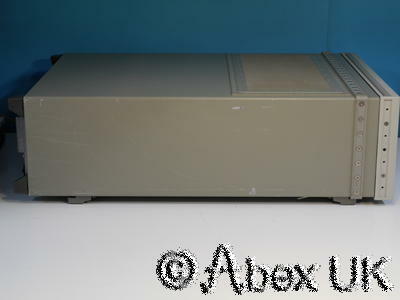 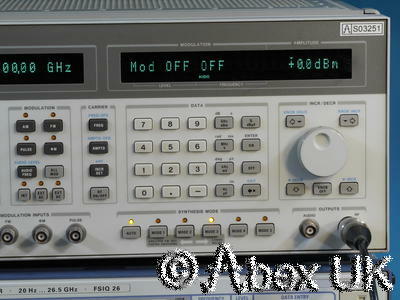 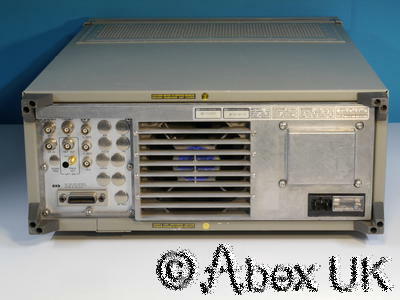 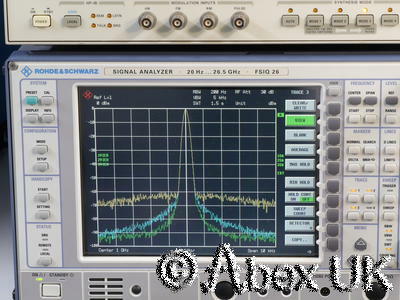 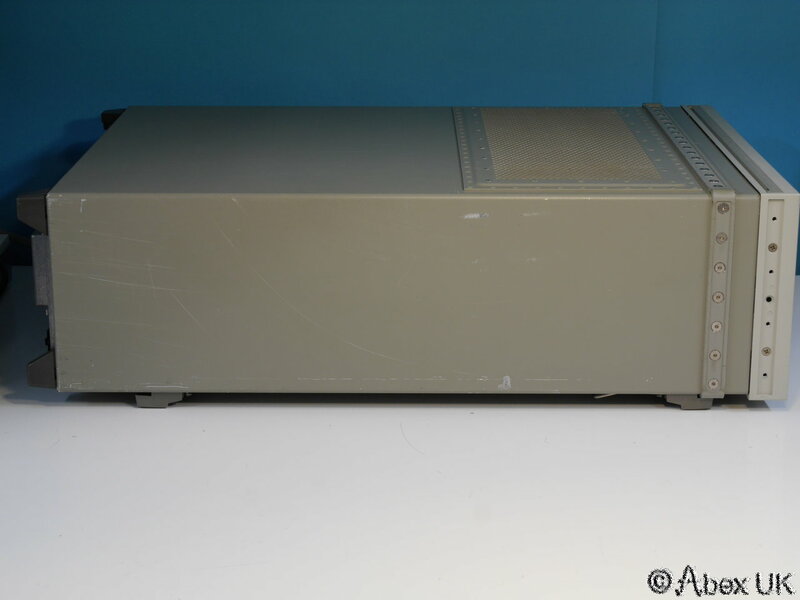 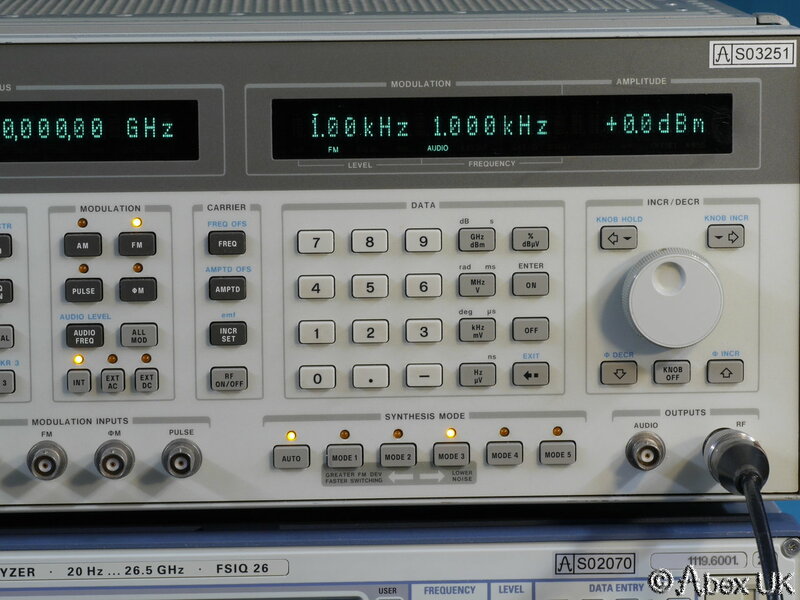 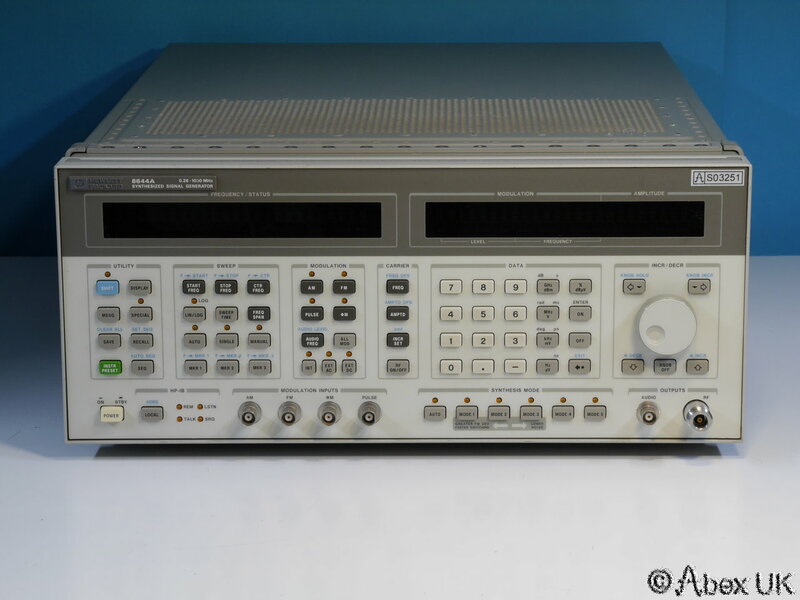 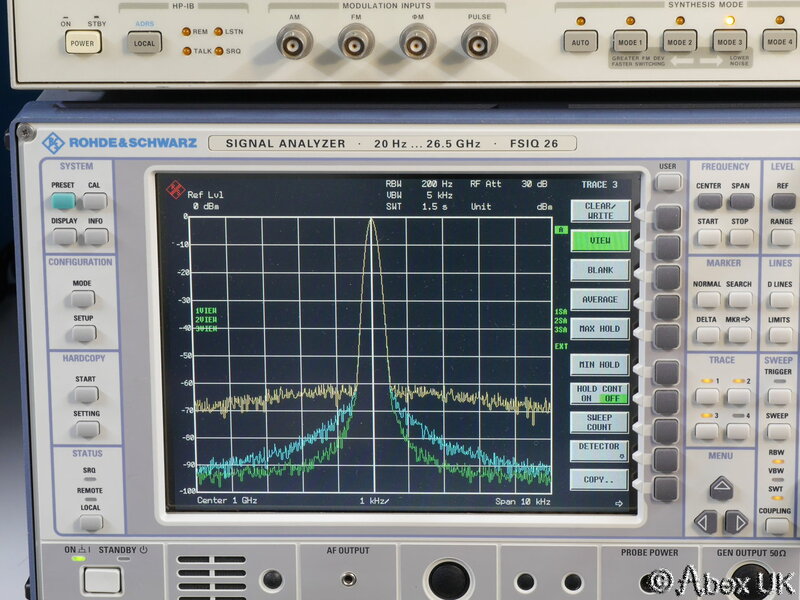 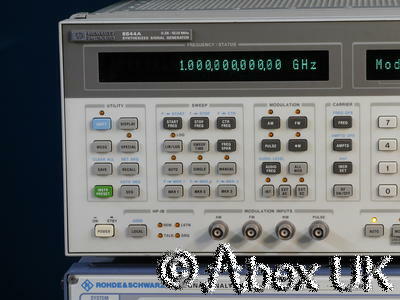 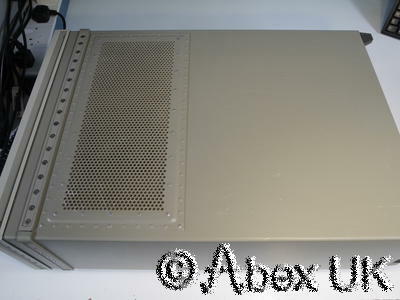 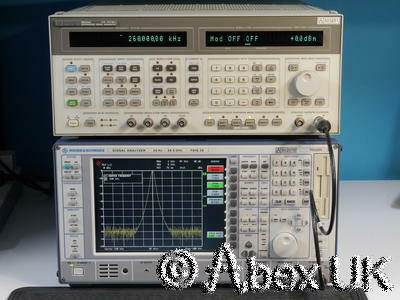 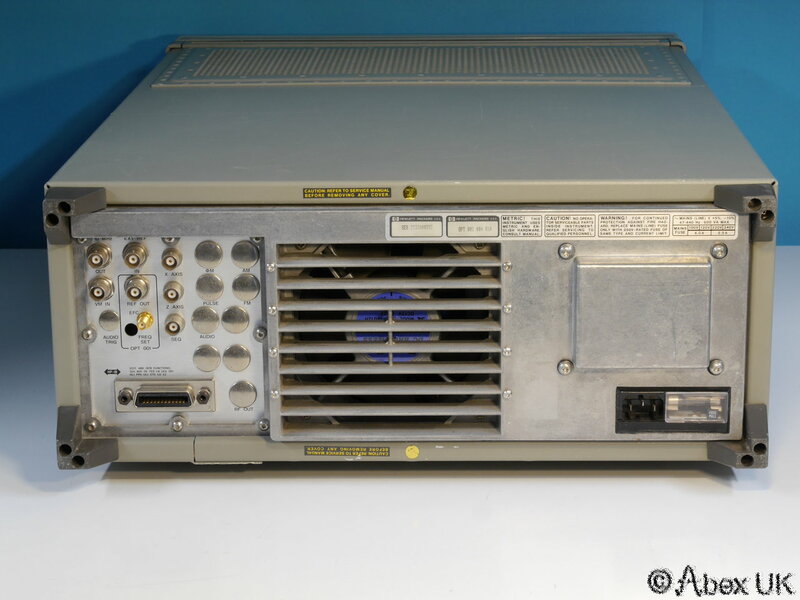 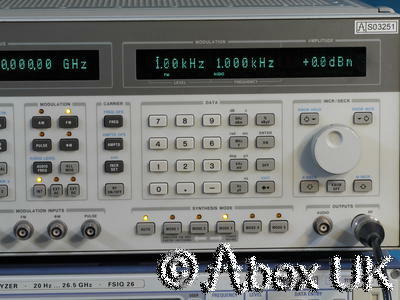 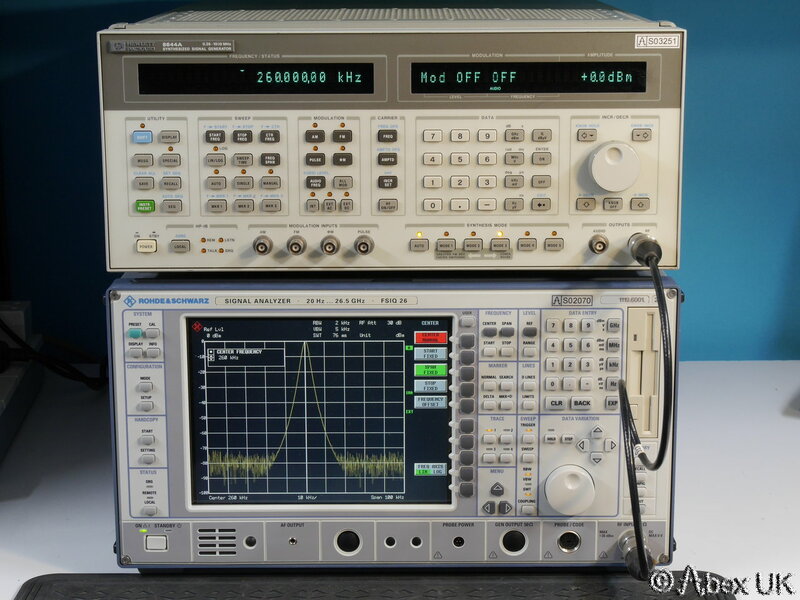 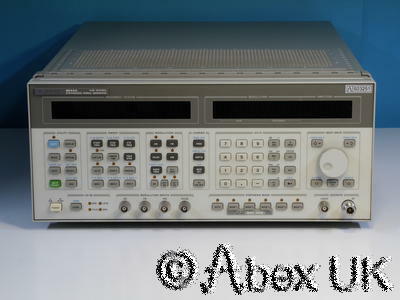 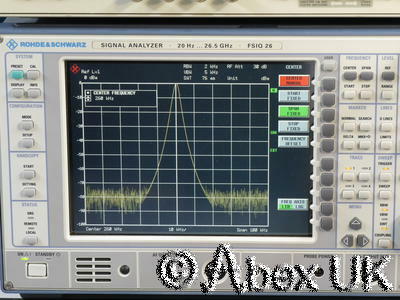 The HP (Agilent) 8644A is a high performance synthesised signal generator with exceptionally low phase noise. 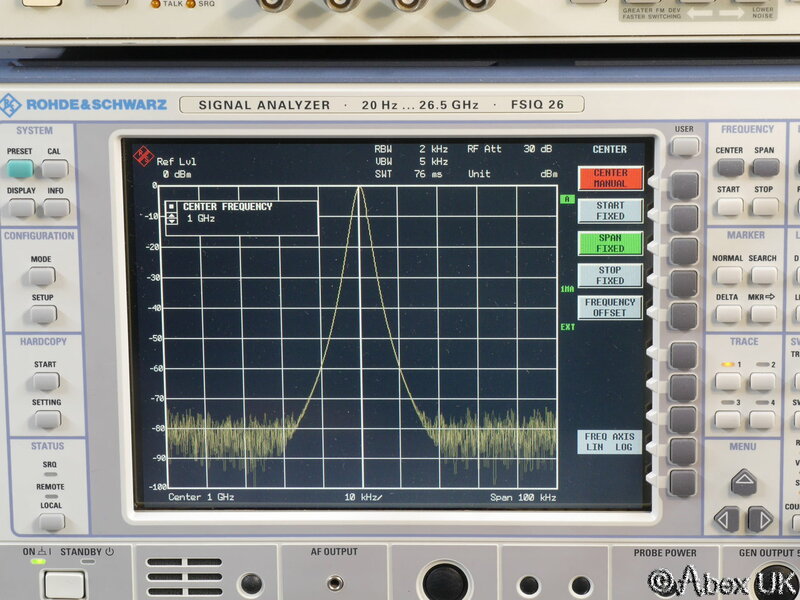 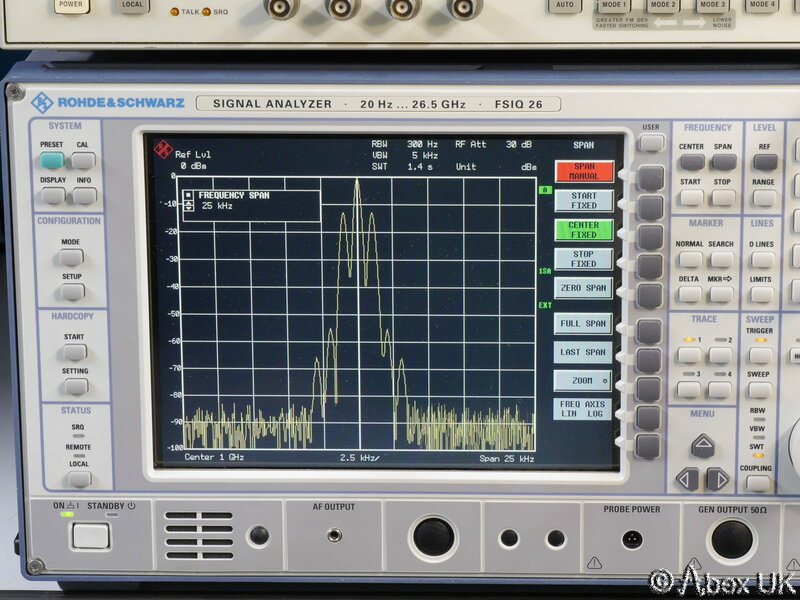 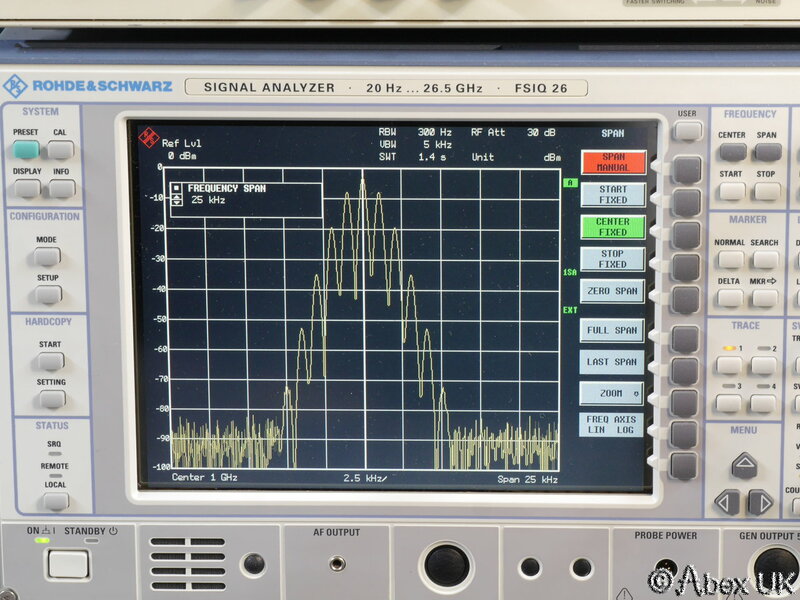 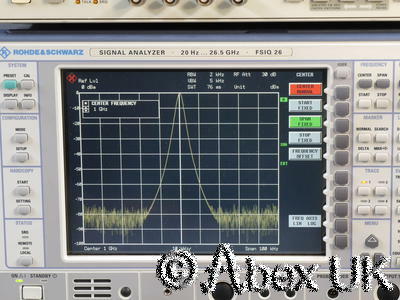 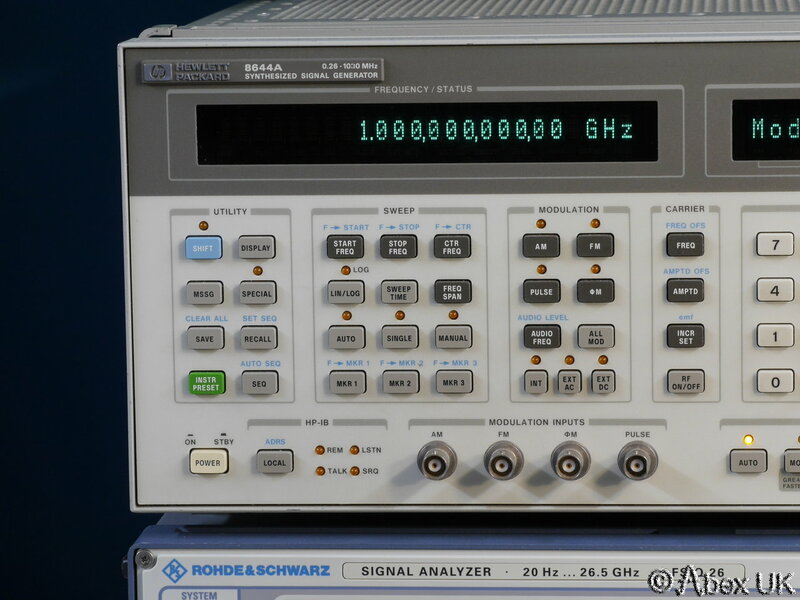 Basic charateristics are similar to the 8665A/B but with a lower maximum frequency of 1.03GHz. 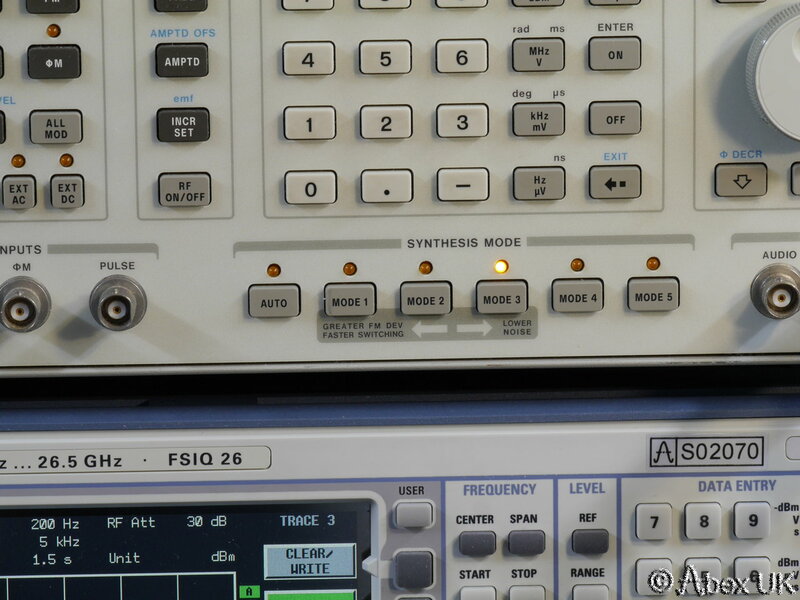 Clean AM/FM/Pulse modes, internal audio source, and external modulation inputs. 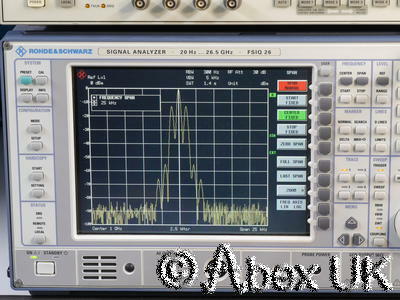 Programmable frequency sweeps. 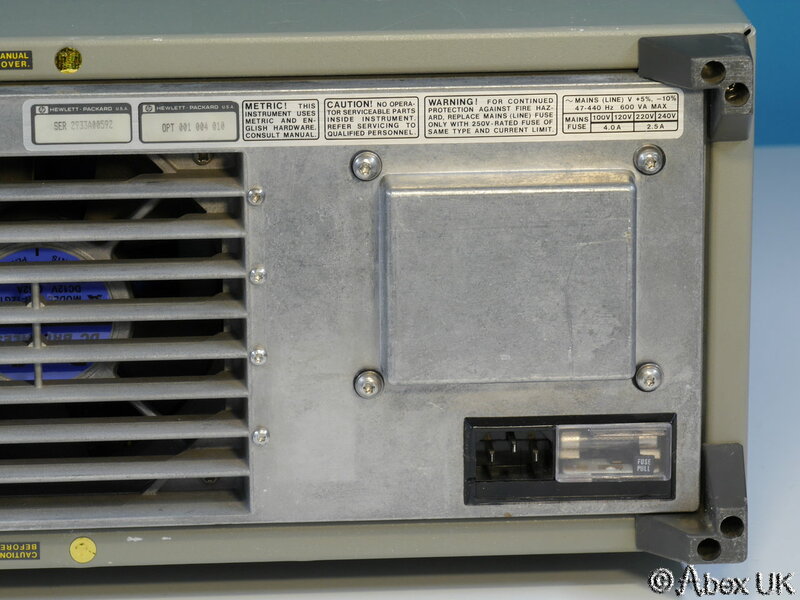 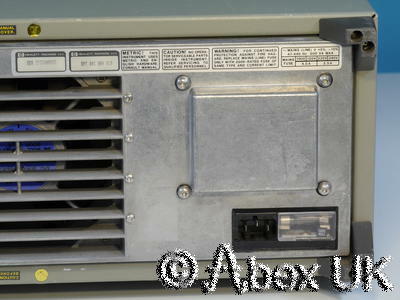 This unit is is in excellent cosmetic condition and good working order as shown below. 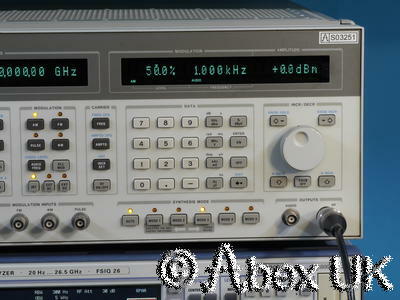 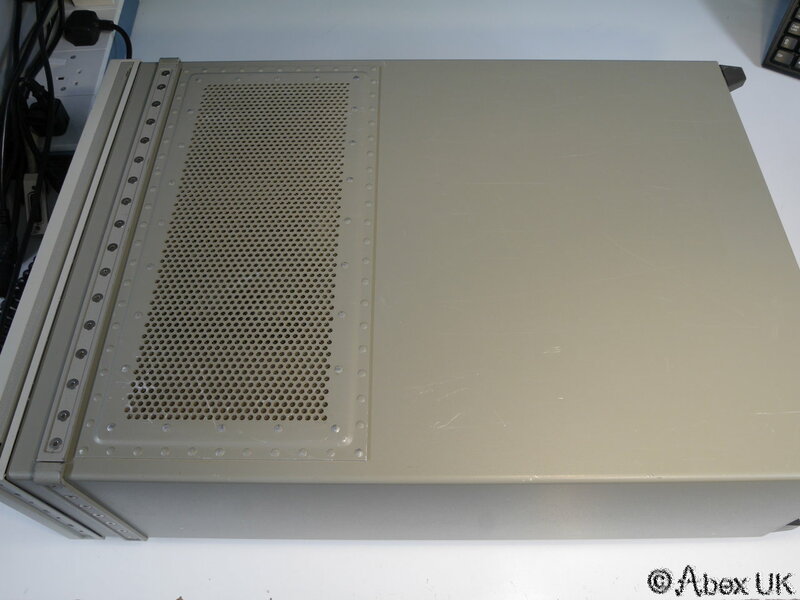 Suitable for testing high specification HF/VHF/UHF radio receivers. 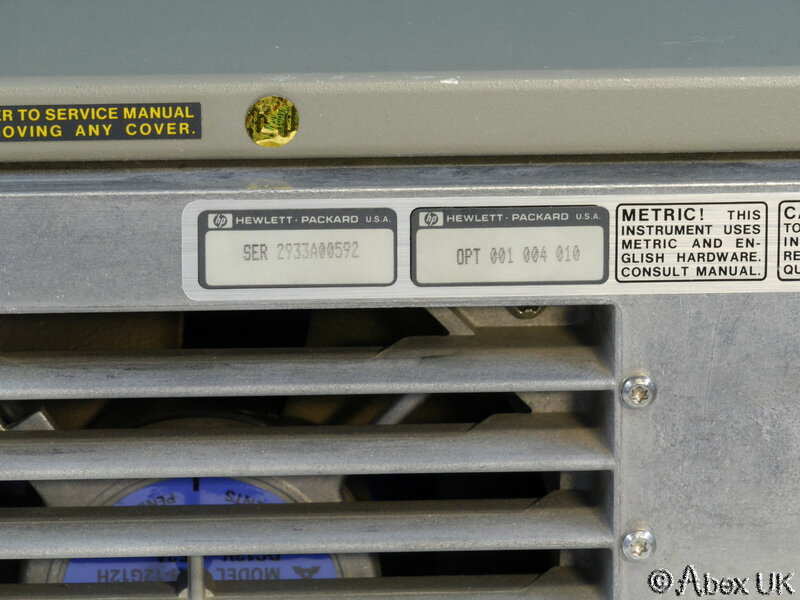 Option 001, 004, 010. 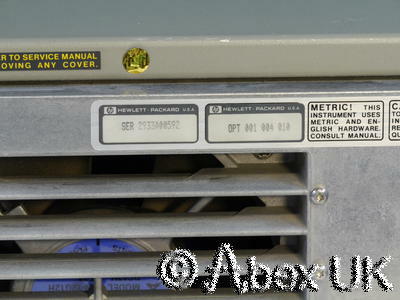 Low radiated emissions (EMC) option.